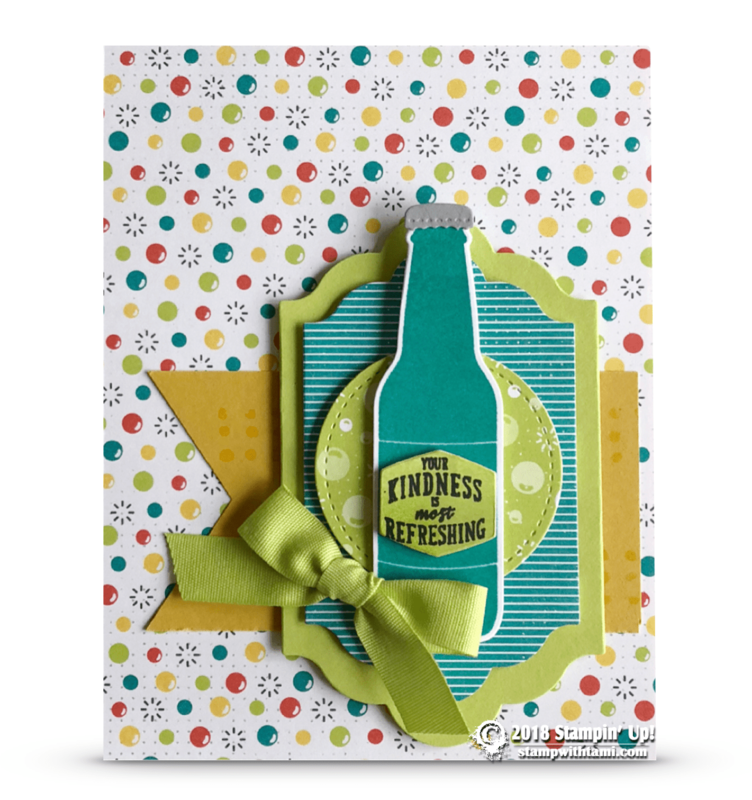 “Your kindness is refreshing” card from the Stampin Up Bubble Over stamp set and Bottles and Bubble dies bundle. The dots image is from the Watercolor Wings stamp set. The background paper is from the Bubbles & Fizz Sale-a-bration Designer Paper. Reminder SAB ends March 31.